There are numerous websites that get their start on WordPress and then relocate to a new domain as they grow. WordPress is a phenomenal starting point for online entrepreneurs, however, some find it time to either rebrand or find a fantastic deal on a premium new domain that is too good to pass up. Before you take any step you should always create a full backup of the previous WordPress site. Can you imagine all the pain and frustration from losing vital data during the transfer? 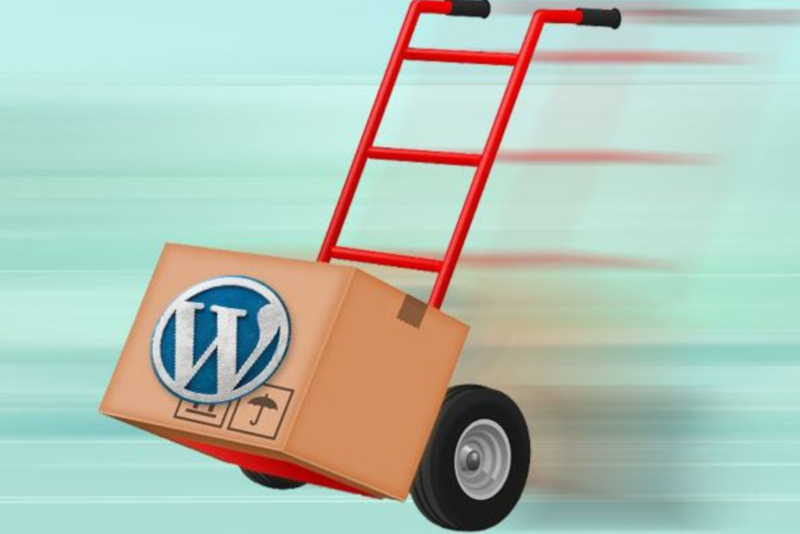 Most people don’t even want to think about this possibility, so the best advice is also the simplest: make sure you create a full backup of the WordPress website before moving forward. VaultPress, BackupBuddy, BackWPup or the WordPress backup to Dropbox plugins are all quick and easy to use means for a website backup. It is as easy as 1-2-3-4. Duplicator does most of the leg work and walks you through the steps with the only recommendation being that you are familiar with FTP going into the process. Now if you only want to switch the domains and don’t really care about transferring SEO as well, your work here is done. But for most people on the web they want to also transfer their SEO rankings which is where the real fun begins. B.) inform Google about your domain name change. 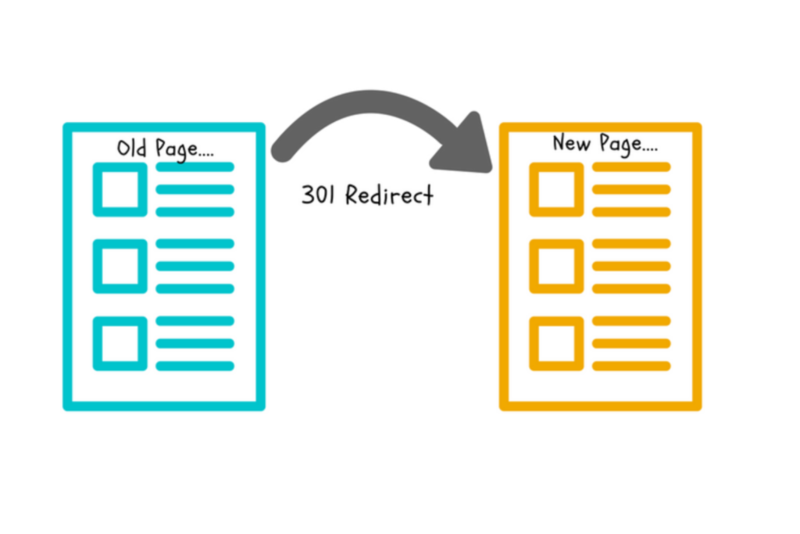 301 redirects send all traffic and links from your old domain to a new domain. The best way to think of 301 redirects is like a sign posted in a physical storefront that tells people ‘We have moved to a new location’. It informs web browsers (and most importantly search engines) that your site has permanently relocated. While people rely more on search engines than ever before, 301 redirects can also immediately transfer web users that type in your old domain name to the new domain. ● They preserve all your traffic, serving as a reroute for individuals that typed in the old domain name. ● Maintain the SEO value of links that were previously directed to the old domain. 301 redirects are very easy to establish. The one drawback? You will have to keep paying for the old domain name. Why? Because the moment you stop leasing a domain the second it hits the market again and is no longer yours. And that means you no longer own it, so the redirects are inactive in the event someone else purchases the domain. Thankfully, at between $10 and $20 a year, keeping an old domain is a tiny price to pay for maintaining a strong SEO ranking. 1- Connect to your old site using FTP and edit the .htaccess file. *NOTE: Replace the ‘newsite.com’ with your actual domain name. Once you have applied the coding change in FTP, test out the redirect. Visit your old site by typing in the old domain. Does it automatically redirect you to the new domain? Good, you have successfully established a permanent 301 redirect. The reality is your SEO will take a momentarily hit because of a domain change. The magnitude of a change like this is comparable to a physical storefront moving to a new location. It’s going to take people (and more appropriately search engines) time to adjust to the change. It’s completely normal so patience is a virtue. The good news is this negative effect is very short term if you properly notify Google and also setup 301 redirects. 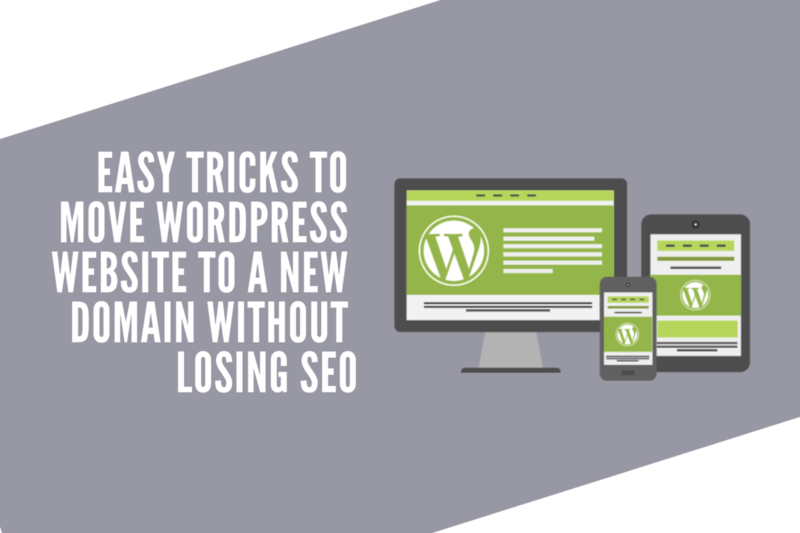 You can make the transition much less impactful by following the above easy tricks for moving a WordPress site to a new domain. 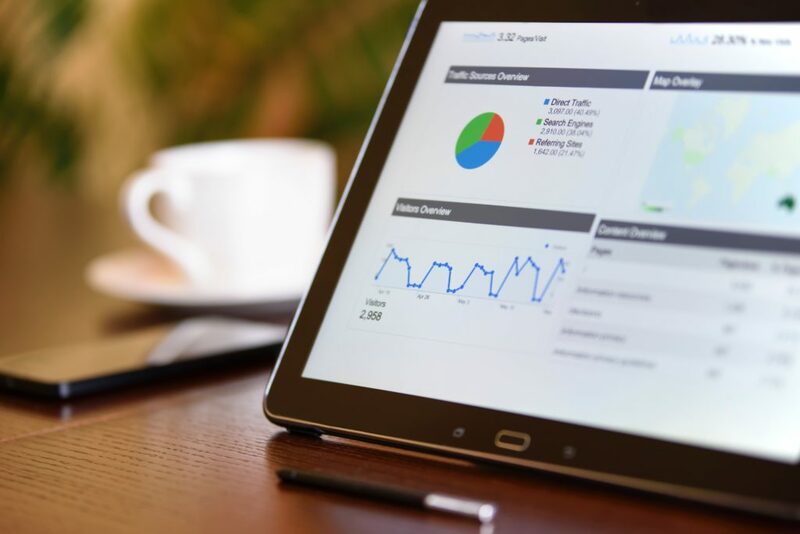 Additionally, you may want to consider emailing the people that link to you and ask them to update the links to the new domain, create a new Google Analytics account, and update all your social media. It is also a very good idea to create a new post at the top of your old site and new site, informing readers about the transition. The public notice about the migration serves two purposes: A.) it helps remind regular visitors about the new domain and B.) allows them to be patient about bugs that may occur as a result of the domain migration. It’s not a bad idea to provide a method of contact in the public notice so visitors can contact you if they spot anything on the new site acting unusual.